Anti-oxidant eye concentrate with a blend of Jeju Green Tea Extract and Green Tea Seed Oil to thoroughly hydrate the delicate skin around the eyes. Enriched with 3.5 times more 16 amino acids, Beauty Green Tea opens the moisture path of dehydrated skin to reveal a dewy and clear complexion. Dual-Moisture-Rising-TechnologyTM firmly protects the moisture path to prevent water loss, and seed oil creates a moisture barrier on the skin. Soft texture closely embraces dry skin around the eyes with refreshing moisture. 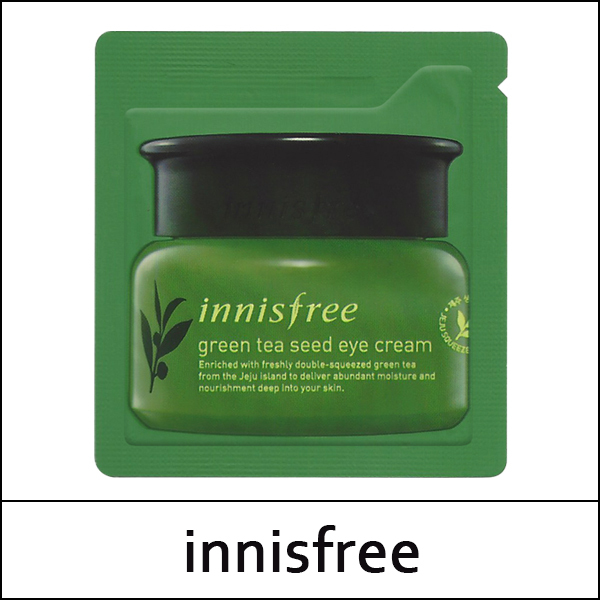 innisfree No.1, a special moisturizing variety created after studying 2,401 varieties of green tea. In search of moisture that would realize an ideal skin condition, innisfree started researching green tea varieties unique in Korea and eventually, their efforts on analyzing the various active ingredients came to fruition with Beauty Green Tea, a variety highly-enriched in excellent moisturizer amino acids. Filled with nutrients squeezed from fresh Beauty Green Tea leaves, Fresh Green Tea Water 2.0™ is fundamentally new with 16 kinds of amino acids 3.5 times more enriched than the original for excellent skin hydration. 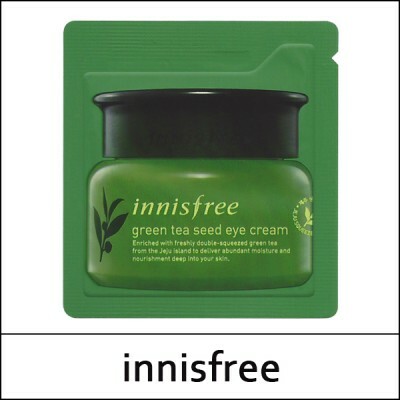 innisfree's green tea products' vitality and deep hydration are supplied by green tea extracts from the fields of Jeju island, renowned for its cleanliness and abundant plant life. Using these products will leave skin feeling smooth, supple, and deeply hydrated. Apply an appropriate amount around the eyes then gently pat for better absorption.